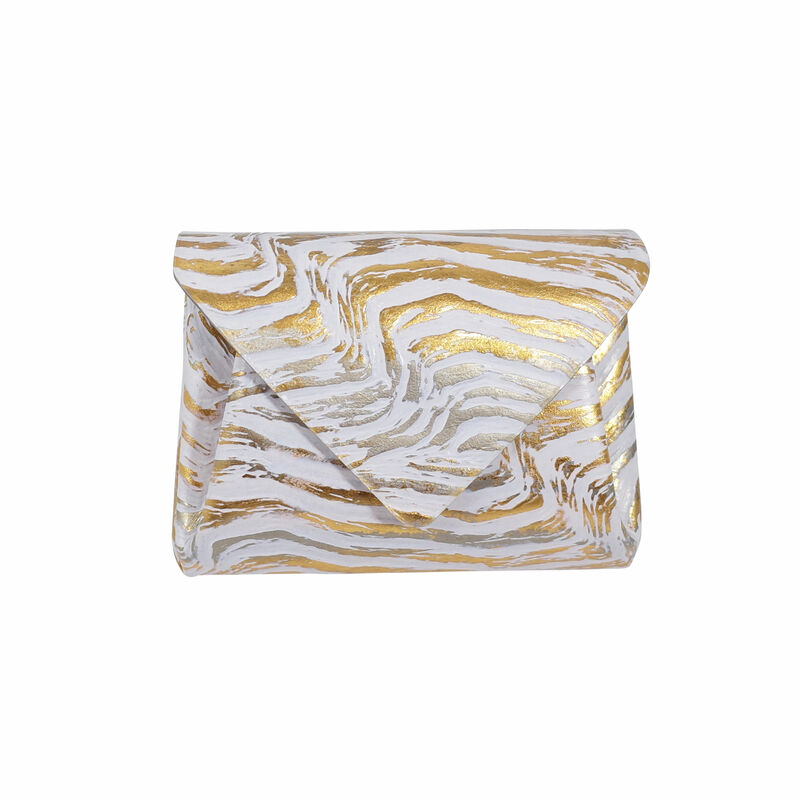 The metallic leather painted many layers by craftsmen's hands is exactly an art work. 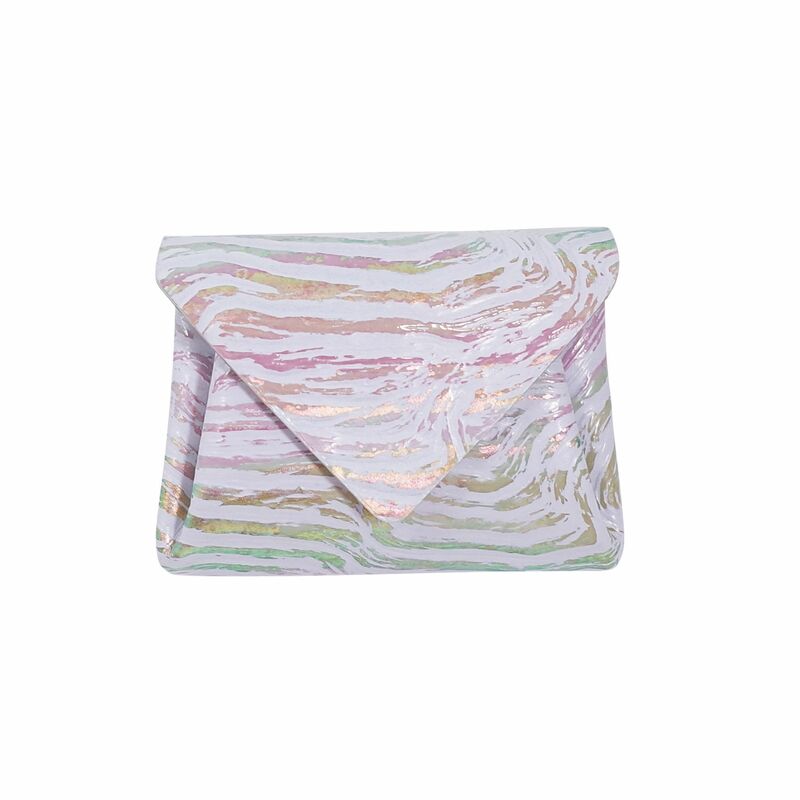 Color variations are Gold and Aurora which is just like mother-of-pearl. 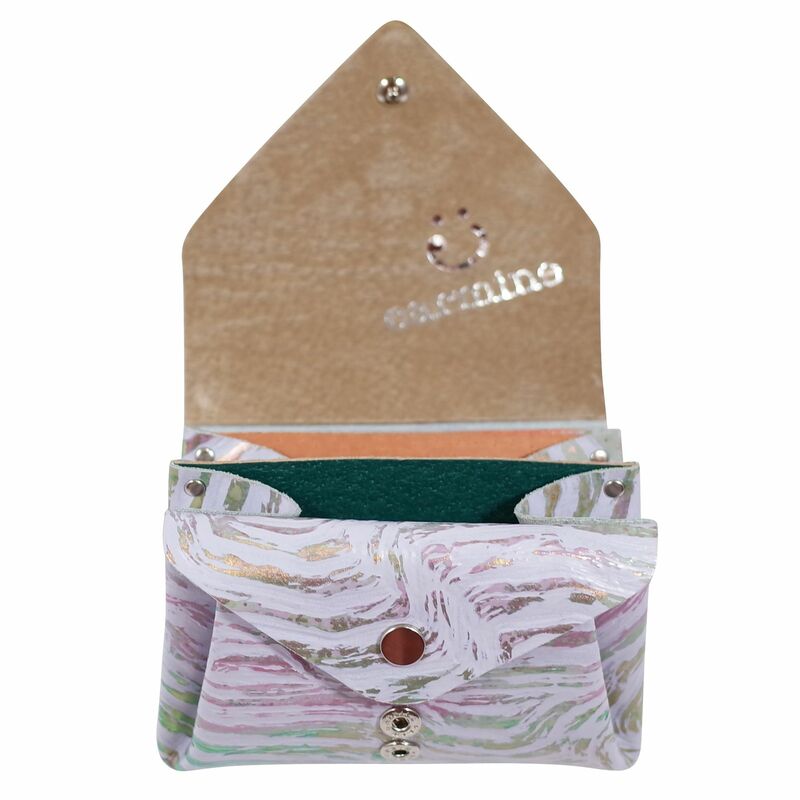 This wallet is strong to stain and scratches by coating like enamel. 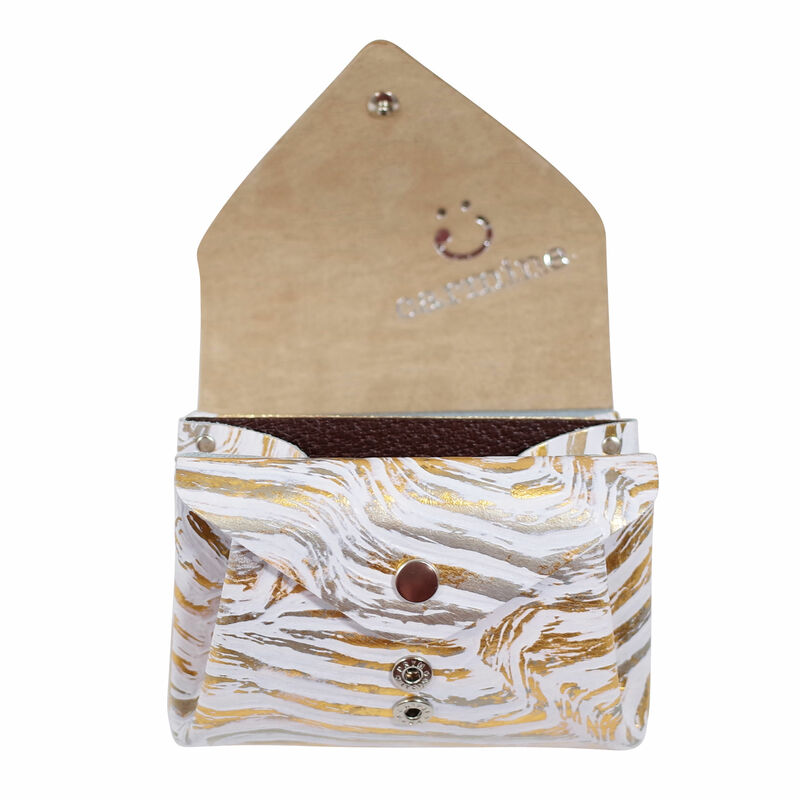 We use gold or colorful leather for inner pockets, and many cards can be contained. 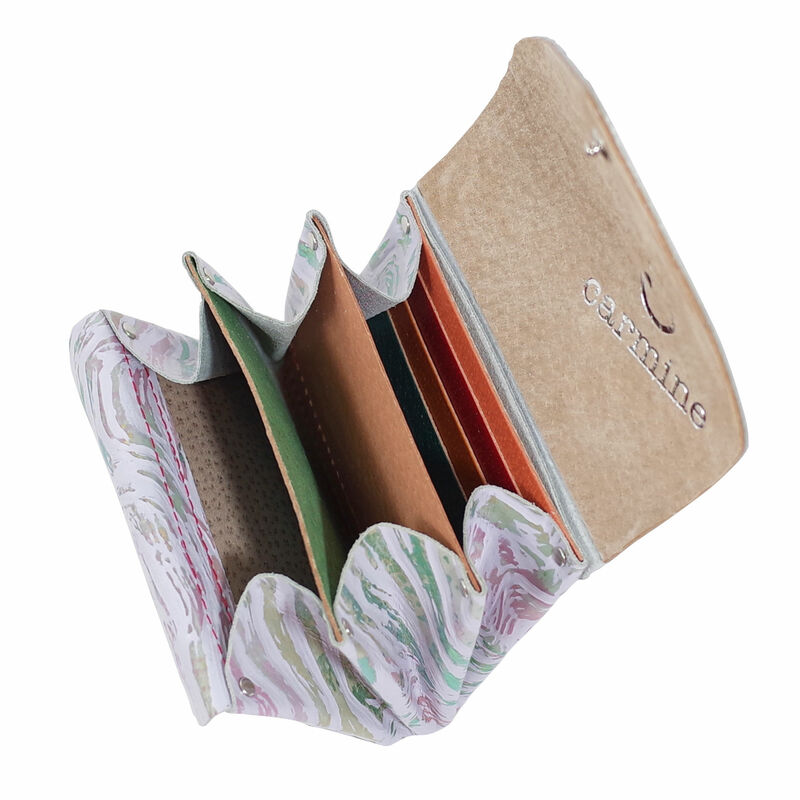 The coin pocket opens wide and user-friendly design. The pattern is a little different depending of where we cut out the leather. We are developing our original leather in Tokyo. 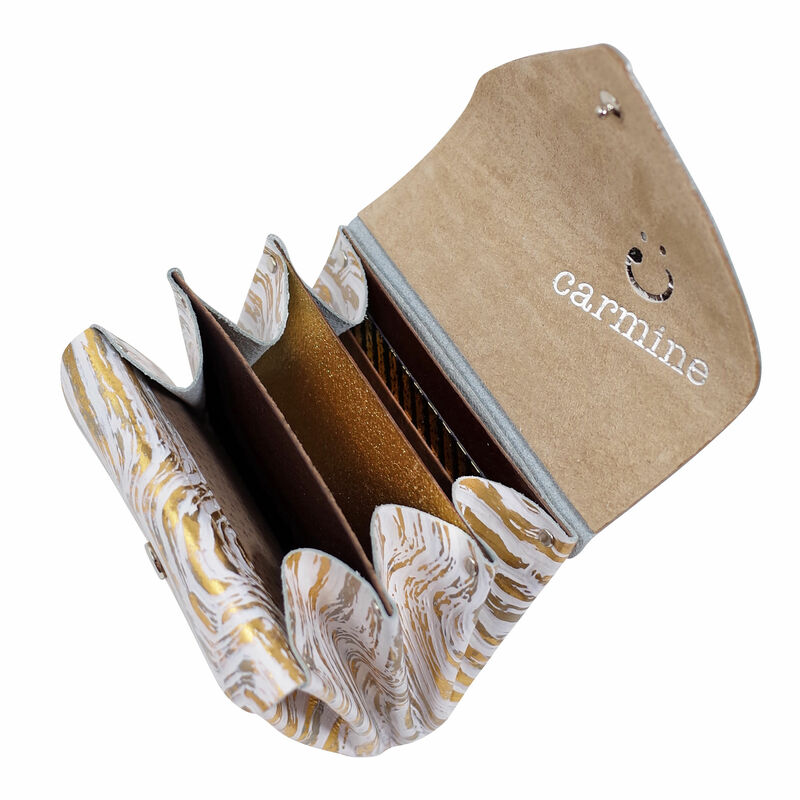 © Carmine CO., LTD. All rights reserved.